This program ended on 09/22/2017 (FRI) 23:59 . This program ended on 09/22/2017 (FRI) 23:59. Tokyo Game Show 2017 is to be held from September 21st to 24th 2017. From the Dengeki booth of games inside the hall, we will distribute the live broadcast for 4 consecutive days this year, too! The live broadcast on September 23rd which is the first public day, will feature online games and application titles of CAPCOM. Along with some wonderful guests, we will share attracting points and new information about each title! Season 3.0 of “Dragons Dogma Onlin (DDON)” has started. We plan to develop a “census” that tells the recent trends of the enlightened people while looking back at the trend until now, and the “Dodoraji” edition that conveys the worldview and characters. Furthermore, we will have a quest with viewers. Before the “PSO2×MHF-Z” collaboration, a talking session between Producer Tomofumi Sakai and Producer Kouki Miyashita of Sega Games will be held. We will stream their conversation live! In addition, a lot of the latest information will be shared. With “MHF-Z” getting more and more exciting after its 10th anniversary, you cannot let your eyes off from it! ■ Play the multiplayer game “MHXR” with Haruna Ikezawa ! You may get information about the latest update!? We’ll introduce the app “Monster Hunter Explore” that has been in service for 2 years. 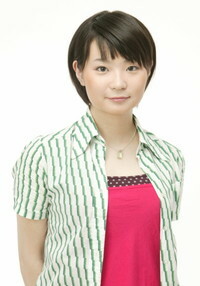 Voice actress Haruna Ikezawa will take part in the multiplayer game with viewers to win a prize. Also, in Update session, you might get to know what is going to happen in future along with the latest update information!? Don’t miss the program! ※Broadcasting hours, content and cast members may change without notice. We would appreciate your understanding. Various game makers will be live streaming on Niconico Live from their booths at the “Tokyo Game Show 2017”, which will be held from Thu., September 21st to Sun., September 24th at Makuhari Messe! >>Here is the list of the shows! You need to sign up to watch Niconico Live (free of charge). If this is your first time using Niconico Live, please click“Sign Up”and register for membership. This broadcast will be premium high-definition. When you become a premium member, you will be able to enjoy high quality images even when the line is busy.